It seems that the Japanese over at Toyota are well over their recall issues. It seems their at the point when they can actually joke around a bit. Why am I saying this? Because when the absolutely American tuning show over at SEMA opens its gates the absolutely American Toyota brand will be there with an absolutely American concept. 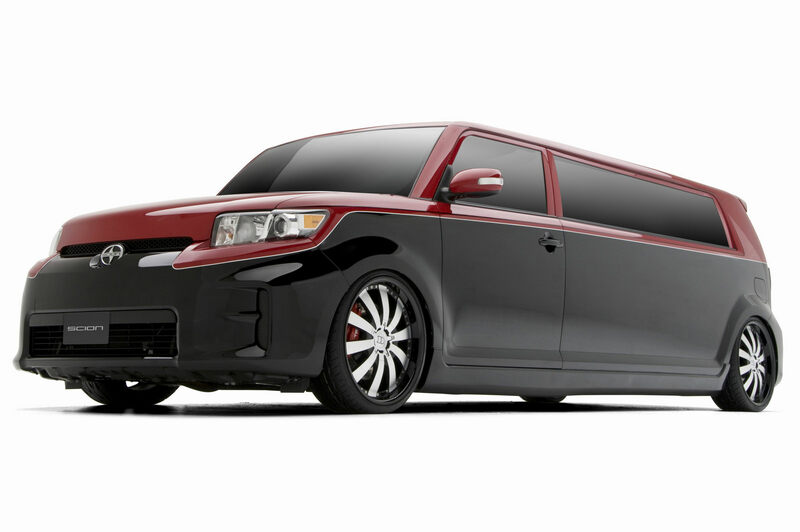 What we have here is a special SEMA creation, a stretched Scion xB. The Scion xB has always been a bit of a youth catcher. The version Cartel King came up with over here is probably for the sort of younger son of the oil, ventures and investments tycoon. Naturally, there’s some changes beside the 48 inches of extra body. Stuff like an AEM Air Intake, a better clutch and a new exhaust system but those are nearly completely unimportant. The best thing you can enjoy in a Scion xB is a great big stereo. So this, being a great custom idea has a 2.600 Watt Infotainment system that offers up a new fangled navigation system, a remote control and Bluetooth. Apparently that’s the sort of power you’ll find in a small club and Cartel King put it in the back of a Scion xB.